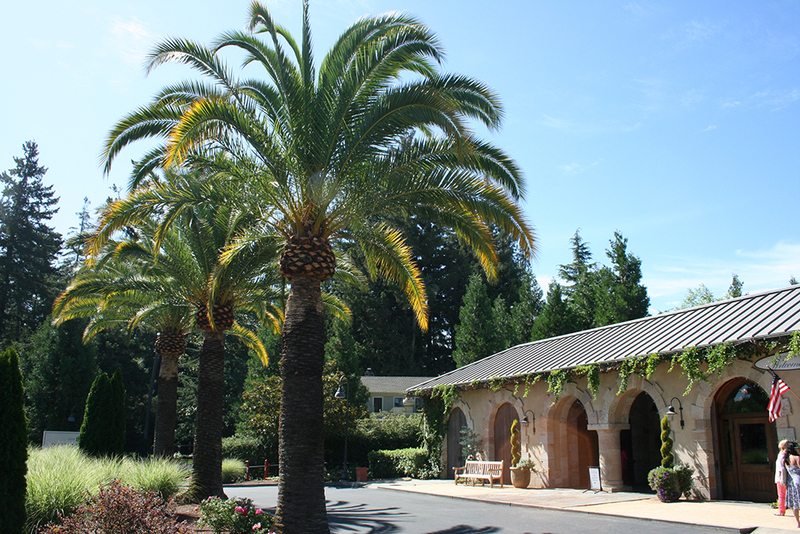 Nestled in the Napa Valley community of St Helena is the one of a kind and truly spectacular Beringer Vineyards. Continually operating since 1875, Beringer Vineyards has earned the unique distinction of being the “oldest continually operating winery in the Napa Valley”. This accomplishment allows Beringer Vineyards to offer all who visit a unique blend of rich wine country history alongside its fantastic hand crafted wines. Our wine tasting tour can bring you to the first California winery where they offer public tours after the end of Prohibition and onto an estate that has earned itself a place on the National Register of Historical Places and has become a California Historical Landmark. A Beringer wine tour will not only show you an incredible piece of wine country history but will also open you up to a world of delicious wines. Beringer Vineyards continually produces a well-rounded number of different wines including but not limited to its delicious Chardonnay, Cabernet Sauvignon, and of course Merlot. By boasting nearly 2,800 acres of premium vineyards in the Napa Valley and Knights Valley, Beringer Vineyards is able to consistently craft spectacular wines that will surely change the way you think about wine. A Beringer wine tasting tour will introduce you to this Napa Valley historical landmark through the beauty of its estate, the precision and care with which its wines are made and quality of each glass of wine you taste. Upon arriving at the historical Rhine House on your Beringer wine tour you will be introduced to a winery that has transcended time to imbue the Napa Valley everything that makes this region special. As a staple in one of the most well respected wine producing regions in the world it should go without saying that a Beringer Vineyards Wine Tasting Tour will open up doors to a world of wine you will never forget. A Beringer wine tour is a perfect way to experience the magic, history and beauty of the Napa Valley. A Limousine Wine Tour to Beringer Vineyards is without a doubt a perfect way to enjoy what the Beringer Vineyards are all about. Here at Apex we provide high quality customer service from start to finish to make your Limousine Wine Tour to Beringer Vineyards both unforgettable and incredibly easy, comfortable, and fun. Our friendly and professional staff work directly with you to ensure that every step of the way is as comfortable and easy as possible as well as meets your specific needs and wants. On your limo wine tour to Beringer, you will be picked up with your party at an agreed upon location and driven through the lush green valleys, rolling hills and beautiful surroundings into the heart of the Napa Valley. Your Limousine wine tour to Beringer Vineyards will bring you directly to the doorstep of one of Napa’s oldest wineries and give you an opportunity to taste the wines that have made Beringer Vineyards well respected and well known. There is no finer way to experience everything that Beringer Vineyards have to offer than with a limousine wine Tour to Beringer. Our staff are waiting to help you start planning today! At Apex we focus on providing professional grade customer service to all of our clients. We offer comprehensive wine tours and transportation to and from all of Northern California’s major wine producing regions. Whether you’re interested in exploring Livermore, Sonoma or the Napa Valley our professional team of drivers, new model limousines and helpful staff are ready to help design a comprehensive winery tour that meets your specific interests and desires. Our team of drivers are experienced and professional and help create an unforgettable and enjoyable atmosphere the entire journey. It’s never been easier to find yourself sipping wines and tasting the delicious cuisine of the wine country than with Apex limo. Our wine tours and transportation service allow you and your party to taste and compare the subtle and sometimes not so subtle differences between the wonderful array of wineries that make these wine countries so well established and respected. We believe that when utilizing Apex’s wine tour transportation services you should be able to enjoy the ease and simplicity, relaxation and enjoyment of a winery tour the entire time. We are able and willing to help develop itineraries that exactly match the type of experience you are hoping to have while exploring the wine country. Here at Apex, we believe in providing our clients outstanding transportation to their wine tours every single step of the way – we always go the extra step to ensure that our clients are able to taste and experience all that the wine country has to offer. Look no further than Apex limo to make your Wine Tours and Transportation needs become an experience you will never forget.